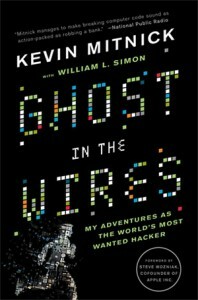 I have just completed the book Ghost In The Wires by Kevin Mitnick it tooks me 5 days to read. It’s a very good read if you want to dive into the world of social engineering and hacking the book does not provide hacking tutorials, so there is no point in reading it if you want to learn how to hack. But it will give you an insight into the world of Kevin Mitnick and what he had to go through while the feds where after him. I also read one of his other books years ago The Art of Deception that was a gppd read from what I can recall, I also ordered The Art of Intrusion which should arrive next week, so I’m looking forward to read that.